Aberdeen, an international asset management company based in the UK, was in need of several video animations to help educate consumers on their value proposition and current capabilities. The videos would be integrated into their overall marketing mix with executions online, at trade shows, and in rich media advertisements. 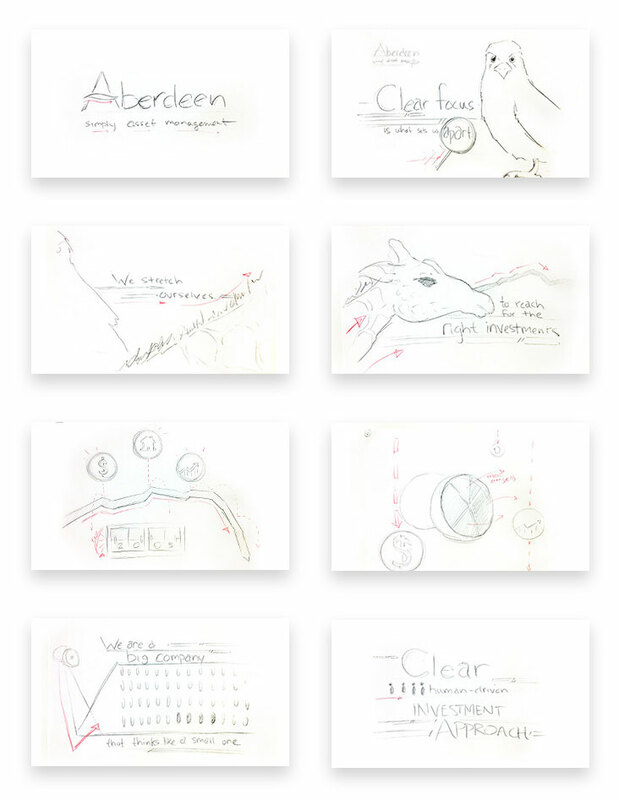 We started with hand-drawn storyboards to define the message and flow. Each video has a clear message paired with simple, yet beautiful graphics. “These projects were a lot of fun.